Planning a home-based Burns Supper for friends and family should be simple, easy and FUN! When organising Burns Suppers in the past I’ve made them overly complicated or too formal – which only results in making the night more stressful than enjoyable. Definitely not how Rabbie would have wanted it! Last year we had 8 for dinner including my 2 kids. Everyone had active parts which made for one of the most relaxed and enjoyable Burns Suppers I’ve ever been to. 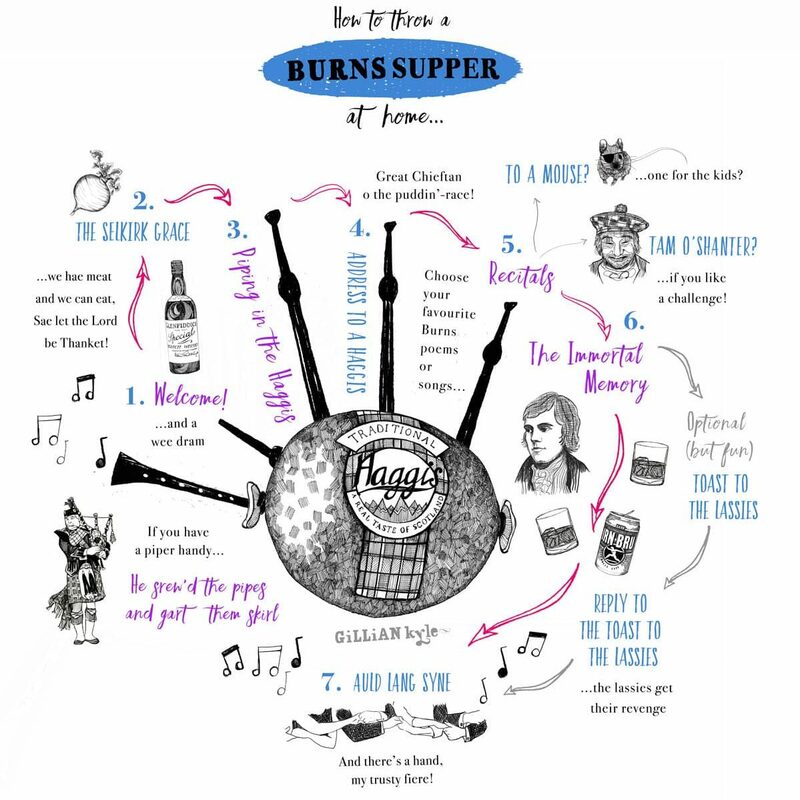 So here is my illustrated guide to throwing a Burns Supper at home; a simple visual template for creating a truly memorable evening. One of our friends brought his pipes and treated us to a lusty rendition of Scotland the Brave. Wow, the noise in doors was thoroughly amazing and really set the tone for the rest of the night. One of my offspring played the role of chef and paraded the haggis to the table chaperoned between piper and MC. Events took an unplanned and very amusing turn when the haggis rolled off the serving platter and made a short lived escape under the dining table! Decorum was soon restored and the cheeky wee haggis got his comeuppance in the Address to a Haggis. 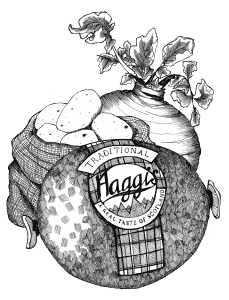 Address to a Haggis is a wonderfully strong and rousing poem and a real delight to recite. If the assigned reciter needs any help on the delivery, check out John Gordon Sinclair’s rendition on the BBC Works of Robert Burns. I defy you to listen to this and not feel hungry! Of course, if there is no piper to hand, the web will provide. Eddi Reader Sings the Songs of Robert Burns is a great starting place for some serious mood music for the proceedings. Each of our Burns Supper guests had a role to play through the course of the dinner, which added to the sense of occasion and bonhomie. To a Mouse or To a Louse are ideal for getting the kids engaged, and lots of fun for all. The wonderful Tam O ‘Shanter, although long, is just so much fun to recite and there’s no really need to learn it off by heart, unless you feel like it. On an informal occasion such as this, we happily side-stepped the Toast to the Lassies and Reply to the Toast to the Lassies. 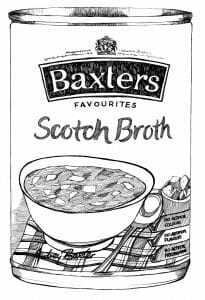 But the Immortal Memory is the cornerstone of any Burns Night and always merits due deference and a little planning. 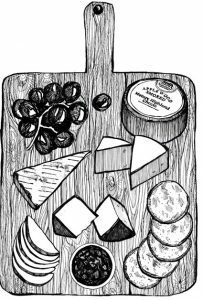 Use this guide to help prepare something special. 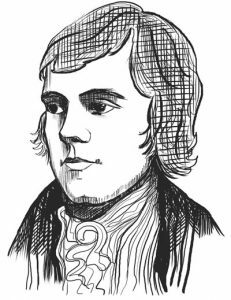 You may also want to reference my Robert Burns – an illustrated story as a source for some rather remarkable Robert Burns facts and figures! A final word, on the vital topic of refreshments. If you are wondering what whisky to buy for your Burns celebration, Sean Murphy at The Scotsman offers some timely advice in this recently published article: 8 of the best single malt whiskies to enjoy on Burns night.